Why is the SKOT shirt so special? We carefully crafted the SKOT shirt. 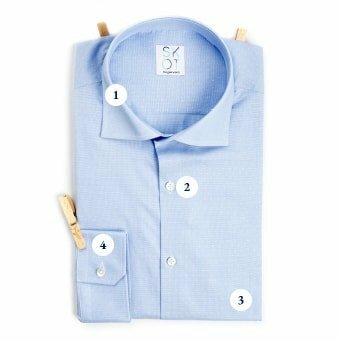 Creating a perfect shirt is a matter of detail. In the whole process we refused to compromise on three important pillars: quality, design and sustainability. After a thorough analysis we started with a slim fit design. 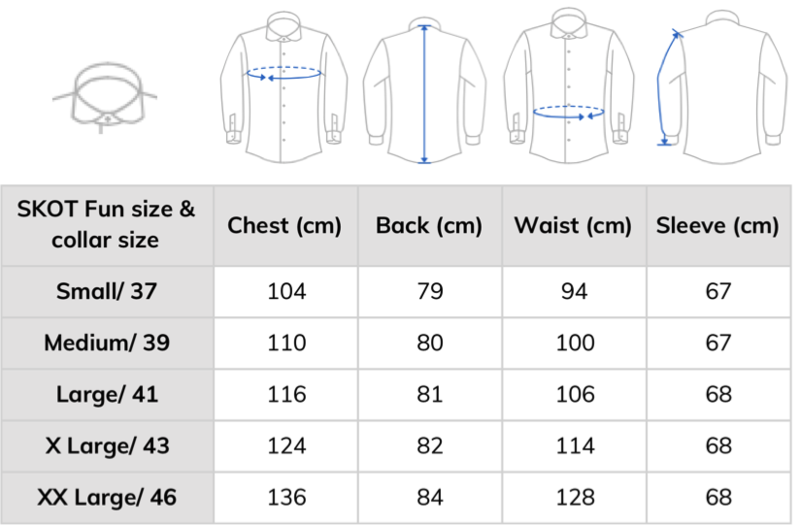 We did a lot of testing, measuring, comparing and improving on the shirt. Also, regarding the production we have visited different factories and searched for the difficult combination of responsible production and high quality. Finally, we think we created the perfect shirt. It’s as simple as that. With top marks on all levels. Quality materials and production. Unique details on the shirt. 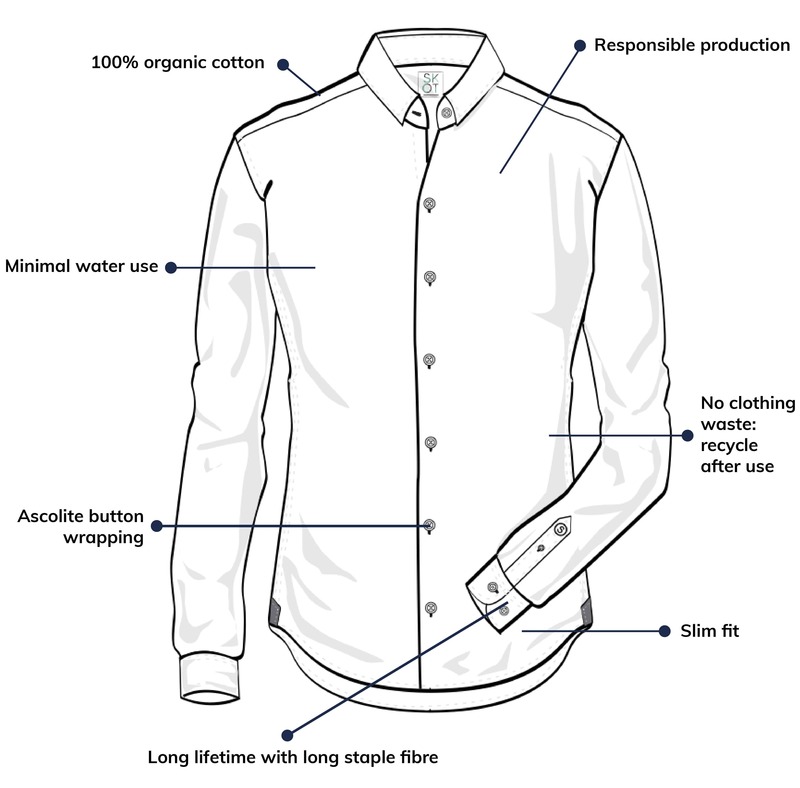 A modern slim fit design. Your SKOT shirt is made for a long-lasting friendship. “As sustainable as possible.” Because you're worth it. SKOT searches in the whole production process for the best sustainable alternatives. On the way towards positive impact. We have nothing to hide. 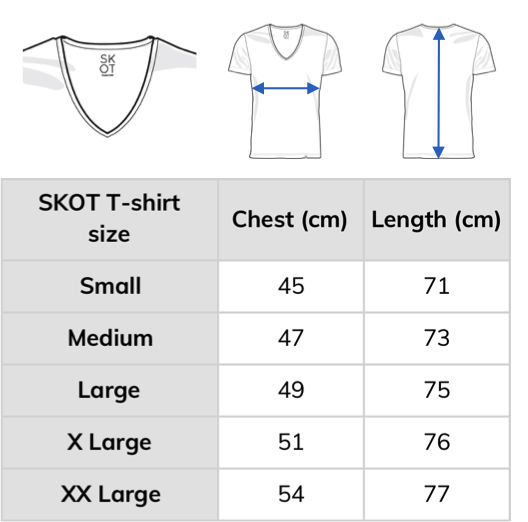 That's why we are fair and open about the production prices of a SKOT shirt. 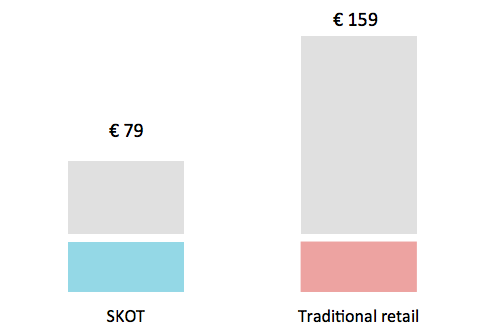 And with this we can show you that with SKOT you'll pay a lot less for the same high quality. We have two different designs, each has it’s own style. Everybody wears his shirt in his own way. 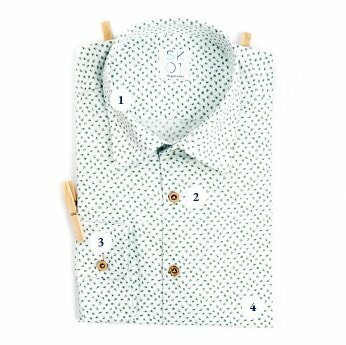 The Serious collection has white mother-of-pearl buttons and a formal design. The Fun collection has brown coconut buttons and has some more distinctive details. Choose your own favorite style.